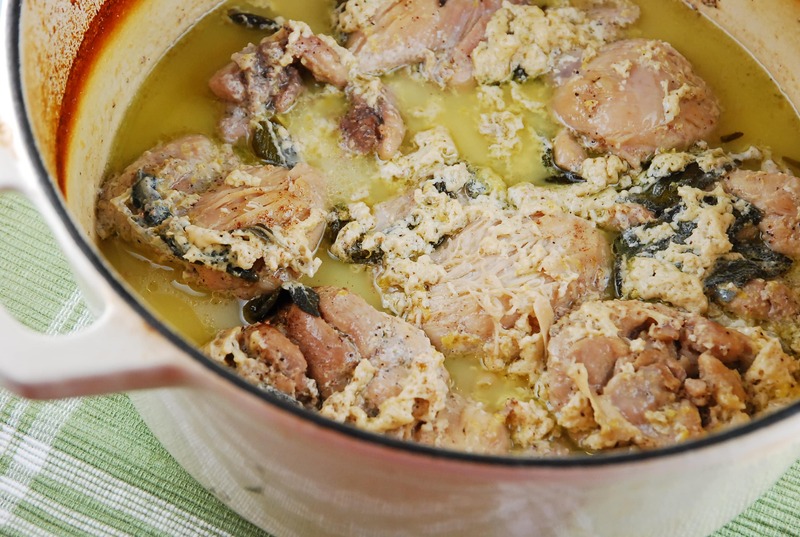 I have always been a fan of Jamie Oliver, so when I came across his unique Chicken in Milk Recipe, I was eager to give it a try and see if I could make more of a Weight Watchers chicken recipe. It’s a really simple dish that requires just a handful of ingredients. Yet the combination of all the flavors and textures really creates a mouthwatering result. One thing I want to point out is that the milk WILL and is SUPPOSED to curdle from the lemon zest. It makes the sauce look a little funny, but taste oh so good. I made this milk chicken with both chicken thighs and breasts because my family has different meat preferences, but to keep it lighter, you can stick with just the breasts. Serve this chicken and the sauce over wilted greens or potatoes, making sure to utilize that delicious, milky broth! A moist, juicy, perfectly flavored Weight Watchers chicken recipe that is absolutely mouthwatering. The combination of unexpected ingredients makes for a healthy and delicious dish that will keep you on track while leaving you feeling satisfied. Place a large, oven safe pot (like a Dutch oven) over medium high heat, and melt the butter. Salt and pepper the chicken generously, then place in the pot, and to brown on each side (about 3-4 minutes per side). Remove pot from heat. Add in the remaining ingredients, cover with a lid, and place in the oven, and cook until chicken is cooked through and is moist and tender, about 40 minutes. I’d love to try this recipe, but my oven is broken)= Do you think I could cook it on the stovetop?